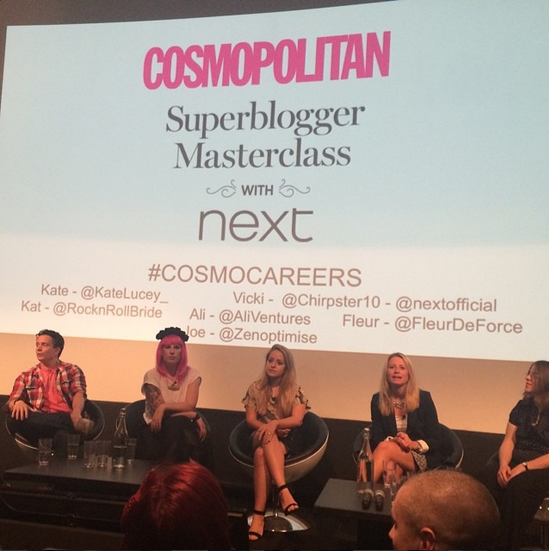 Beautiful You: Cosmopolitan's Superblogger Masterclass! Yesterday my sister and I went to London for the afternoon to attend the Cosmopolitan Supperblogger Masterclass in association with Next at the Millbank Centre! It was an event put on so that you could learn how to make your blog better if you have one or to get some tips and tricks before you set up a blog. There was a panel of 5 professionals from the industry, Joe from Zen Optimise, Kat from RocknRollBride, Fleur from FleurDeForce, Vicki who is the social media manager at Next and Ali who also works for Zen Optimise! There was a interview section where Kate from Cosmo asked the panel some questions about how they grew their blogs, their top tips and how you can optimise your blogging stats after that there was a section where we were able to ask questions! I learn so much from the event and I would definitely recommend events like this to people who are worried about blogging, not to sure whether or not to start and for those who have questions as to where to take their blog next. To hear first hand from such big influences in the industry was brilliant as you know it worked for them and you can take their advice on board and apply it to your own blog. - Brands don't always look at stats they look at the branding, having your own style/voice, your writing style/grammar and photography! 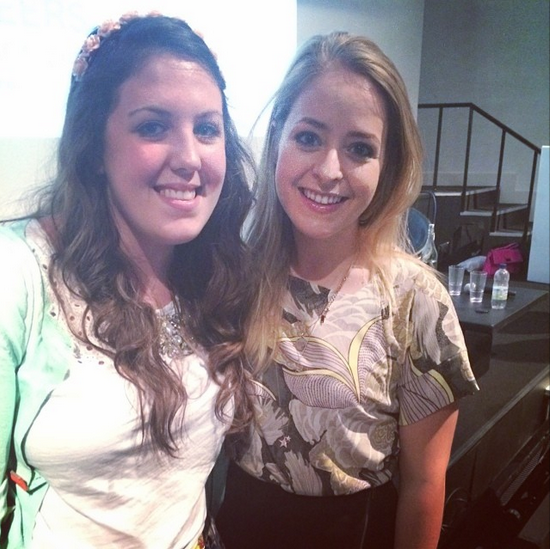 And to top off a brilliant and informative evening I got to meet Fleur which was massive for me because I've been watching her videos and reading her blog for so long now and she is a massive inspiration! She even had a long chat with me and my sister and was so down to earth, her make-up looked amazing too! Lastly, we were given goody bag which had amazing products in such as Hawaiian Tropics Sun Tan Lotion, TRESemme Dry Shampoo, Popchips and more! I hope you enjoyed reading about why I was in London yesterday and learning a few tips! I also haven't announced on here yet but my first YouTube video went live on Saturday and I have had so much support and love from my friends and family about doing it so I hope you guys go over and watch and subscribe! Hope you are all having a good week so far and I will be back on Friday with another post! I am also going to IMATs this weekend so stay tuned for posts and videos about that! I saw the tweets and instagram pics of this, looked great. I would have love to have met Kat from Rock&RollBride. I love a good goody-bag haha.